How engaged and satisfied are your employees? Are you leveraging their full potential? HRINC Employee Satisfaction Surveys (ESS) give fresh perspectives on how employers can engage their workforce more effectively. What is the HRINC ESS? A strategic tool that helps align business and people strategies by measuring employees’ satisfaction and engagement across a range of areas. 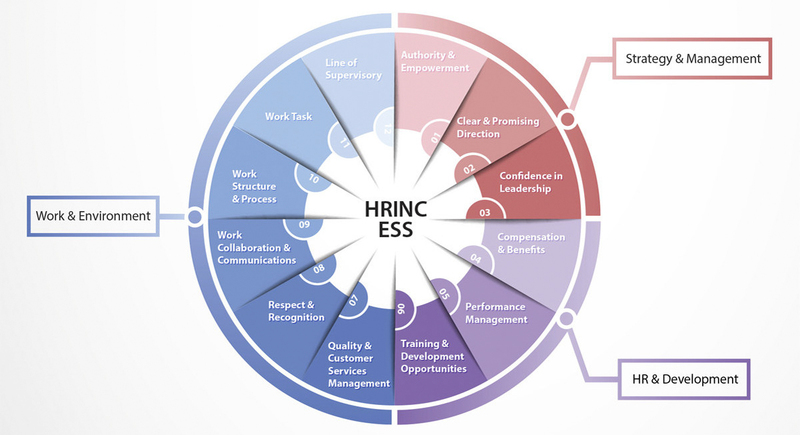 The HRINC ESS also understands employee attitudes and satisfaction with their jobs, managers and ability to contribute to the business. What the HRINC ESS Measures? We are ready to help you, turn employee feedback into bottom-line performance! HRINC Consulting: Insights that drive employee engagement and bottom-line performance. We have established offices in Myanmar and Cambodia and work with partners to deliver services in Laos and Vietnam. We are the largest HR and Outsourcing provider in our markets. Copyright © 2017 HRINC (Cambodia) Co., Ltd, All rights reserved.